Why do I have to sign in every time? Why do I keep having to sign in on my iPad every time I visit? What do I do if I don’t received the forgotten password email? How do I know if I already have a free registration to use FWi.co.uk? What do I do if I am a paid subscriber? Will I have to keep signing-in? What are you doing with the information I give you? What do I do if I can’t sign-in? Who can I contact about registration? It’s always a good idea to keep your browser up-to-date, it’ll help keep your computer secure and ensure you always have a great experience when browsing the internet. We recommend using Chrome to browse FWi. Why am I being asked to register or subscribe? The next time you are being asked to sign in to the website, make sure you check the box next to “Remember me” as highlighted by the screenshot below. This will keep you signed in so you don’t need to do it each visit. 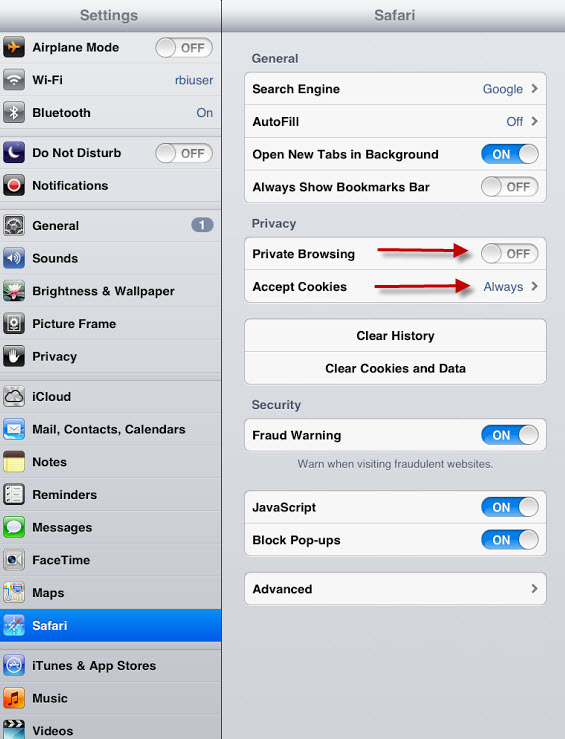 If you’re being prompted to log-in several times using an iPad, your settings may need adjusting to allow us to store a small text file called a cookie on your iPad. What this means is a small text file is saved on your iPad which means it will remember to keep you logged in for the next 30 days, sparing you the hassle of repeatedly logging into the website. 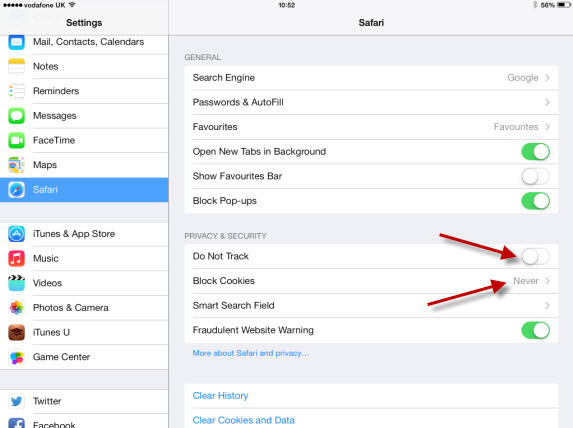 To make sure your settings are correct, click the home button to return to the home screen, open your settings and click on Safari. What do I do if I don’t receive the forgotten password email? You should receive the password reset email within a few minutes of requesting it. If you haven’t received this, please check your spam or junk folder. Still haven’t received this email? Please contact our customer support team on 01444 475 632. We’re having problems with users who have a @tiscali.co.uk email. If this is affecting you and you can not see the forgotten password link, please contact our customer support team on 01444 475 632. If you have registered for a free E-newsletter you will already have an account. If you have forgotten your password, you can use the “forgotten password” button on the sign in screen for assistance. I already pay for my magazine or tablet subscription. Do I have to pay to access FWi.co.uk? No, you don’t have to pay extra. If you hold a current subscription with Farmers Weekly (either the magazine, tablet or both), then sign in with the email address you provided when buying your subscription. If you have trouble signing in consider resetting your password. The registration form gives you the opportunity to manage the way that we communicate with you and you can change these preferences at any time.